In a previous article we learned how to create compressed tar archives in php. Now lets do the reverse, that is extract tar.gz archives and get the files out. 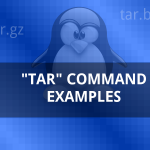 The first step is to uncompress the tar.gz and convert into a .tar file. Next the .tar file is unpacked and file are copied inside a directory.